How do they really capture those signature fruit essences? What’s really in that trendy sparkling water you’re drinking? A new lawsuit claims the makers of LaCroix sparkling water are using deceptive labeling by claiming its product is "all natural." The class action lawsuit, which was filed by plaintiff Lenora Rice against LaCroix’s parent company, National Beverage Corp., accuses the company of misleading consumers about the water's real ingredients. “The plaintiff Rice, desiring a healthy, natural beverage, was led to purchase LaCroix sparkling water because of the claims made on its packaging, advertising and web site to be ‘innocent,’ ‘naturally essenced,’ ‘all natural,’ and ‘always 100 percent natural,’” Beaumont Costales, the law firm handling the suit, said in a release. “However, LaCroix in fact contains ingredients that have been identified by the Food and Drug Administration as synthetic,” the release continued. However, unlike organic or non-GMO, the word "natural" currently has no legal definition when it comes to food labeling. It’s true that both limonene and linalool (known for its lemony, citrus essence) can be used in pesticides, and that they do have other non-food related applications. But when used in certain forms as food flavorings, the chemicals do not present a danger to humans, according PubChem, a chemical database managed by the National Center for Biotechnology Information (NCBI). In fact, these chemicals are often natural as both limonene and linalool are plant-based compounds, usually extracted from essential oils found in citrus peels. And linalool propionate can be found in ginger as well as lavender and sage essential oils. LaCroix’s parent company strongly refuted the claim that any of their ingredients are unnatural. While the chemical agents found in LaCroix are commonly extracted from fruits, they can also be produced synthetically. So, does LaCroix contain the natural or the synthetic version? 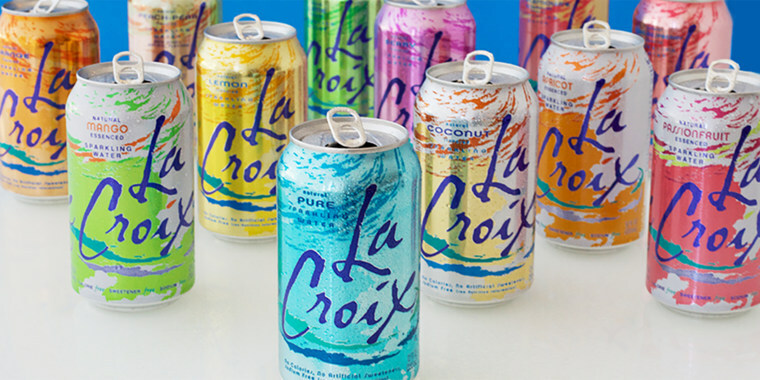 The lawsuit claims that LaCroix does contain the synthetic versions, although the lawyers would not specify how this conclusion was determined. Beaumont Costales declined to comment on whether they had tested LaCroix water independently to determine its chemical makeup. Meanwhile, LaCroix’s parent company maintains that the sparkling water is 100 percent natural. Natural or synthetic, is it possible that these substances will have any adverse effect on your health when consumed in small amounts in food or drinks? Probably not, according to the FDA. Three of the four chemicals named in the lawsuit are included on an FDA list of “synthetic flavoring substances … that are generally recognized as safe for their intended use.” And the fourth chemical, linalool propionate, also presents “no safety concern at current levels of intake when used as a flavoring agent,” according to PubChem. In other words, based on current research, consuming these common flavorings does not seem to present any serious health risks. The jury may still be out on whether or not LaCroix is actually 100 percent natural — but either way, it’s probably safe to take a sip.